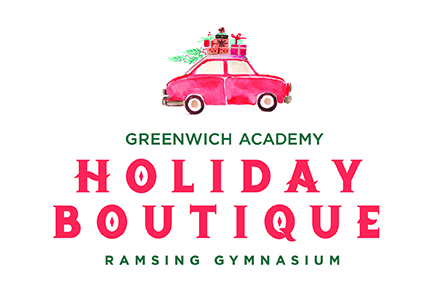 20% of all vendor sales are donated back to Greenwich Academy! Cash, credit cards, and checks accepted. Annabelle launched her jewelry line with the “Signature Collection"— a grouping of five, 14kt gold-filled beaded bracelets that can be worn day-into-evening. The "Signature Collection" has been expanded to include bracelets made with different-size beads and materials, which can be worn separately or in a variety of combinations. Annabelle’s has also designed neoprene totes and clutches. The Brave Collection offers jewelry handmade in Cambodia to celebrate bravery and empower women across the globe. eff.Y.bee is a New York City-based line of jewelry with a girl power mission. Every piece of the collection, made with semi-precious stones and gold-plated charms, has a unique meaning behind it. GA’s Sutton Mock is a brand ambassador and photographer for eff.Y.bee. Sophisticated, chic, and deeply personal. Fahey Fine Jewelry pays homage to the dressmakers and designers of the founder's Italian roots. By focusing on color, detail, design, and versatility, her collections are equal parts rustic and refined, subtle and distinctive—yet incredibly easy to wear. Using ancient finds mixed with diamonds, pearls, stones and precious metals sourced from virtually every continent, Fahey and her team take their inspiration from imagination, instinct, and the natural wonders of everyday life. Fair Harbor sells timeless mens’ and womens’ swimwear and shorts made from recycled plastic bottles. Groove features chic kids clothing (Johnnie-O, Splendid) and fashionable teen and women’s clothing. Popular items include LeSportsac, iScream sleepover bags, and many more fun baby and children's gifts. Time-Honored European Tailoring. Made-To-Measure Suits & Custom Shirting · Luxury Tees · Formal Accessories · Allen Edmonds Shoes · Gift Cards · Custom Belts · Neckwear. J.Hilburn offers exclusive Italian shirting and trouser fabrics, luxury performance knits, and a top-shelf accessories line that marries the best in handmade designs and European quality. JL ROCKS offers a unique blend of branded, private label, and cutting edge jewelry pieces for every occasion. Trendy and well-priced jewelry for teens and kids, plus statement necklaces for Mom. Katie Bartels is a GA Alum. LARK by nsw offers a curated shopping experience of fine designer and fashion jewelry. Combines the unequivocal beauty of diamonds and gemstones with fine gold, oxidized silver, leather, and cotton cord. Lera’s gorgeous jewelry transitions seamlessly from day to night. Ronit, the founder, was a former TV producer for Martha Stewart Living. Les Cinq Amandes’ artisanal confections and gifts combine exquisite confections from around the world. Everything at Les Cinq Amandes is handmade, and they work with master artisans that share their passion for craftmanship and quality. Linda Richards' chic selection of hats, gloves, scarves, coats, and accessories lined with fur will be wonderful for the holidays. McArdle's, the oldest family floral and garden business in Greenwich, is a six-time pick for Best Of The Gold Coast, and has won numerous other local and national awards in both their flowershop and garden center. McArdle's will create beautiful, custom floral arrangements for parties, holidays, and all occasions. Moe's Monkeys has the softest fleece pajamas, shorts, and robes on the planet! Plus spandex shorts & loungewear. Co-founder MaryAnne Winter Farrell is a GA Alum. The Monogram Studio is a full-service monogramming and embroidery company located in Greenwich. The Monogram Studio uses state-of-the-art embroidery and technology and offers a full range of personalized gifts, linens, towels, and apparel. Shoes ’n' More specializes in fresh contemporary looks, as well a sophisticated, modern approach to fashion. Shoes ’n’ More make sure that all of its footwear, clothing, and accessories are affordable with a luxurious feel. Simply Fabulous Accessories offers unique tunics, wraps, belt buckles, and bags. A portion of sale proceeds is donated to impoverished women to help them learn a trade or start a business. Hand-sewn American Girl GA clothes and accessories plus unique handmade holiday gifts. Sports team blankets, adorable mini-stockings, and apron/towel gift sets are some of Sparkle’s one-of-a-kind products. Splurge offers stationery (holiday & thank you cards, gift tags, etc. ), hostess and holiday gifts, teen and tween clothing, and accessories and unique finds. Sweet Lisa’s custom cakes, cookies, and treats are exquisitely customized according to your ideas, your personality, your celebration. Order your holiday sweets and gingerbread houses with Sweet Lisa. Zahava (Golden, in Hebrew) comes from an exploration of identity and spiritual connection in a modern world. Inspired by ancient wisdom, the collection of 10k gold jewelry and brass ritual objects is crafted by hand as modern heirlooms, to be passed on from woman to woman.